A unique opportunity has arisen to purchase my set of three pots that won the Gold Award in the "Unglazed Category" at the 40th Gafu Ten Modern Pot competition. Andrew was the first ever westerner to be exhibited into the competition and these pots are now available as a set for sale. 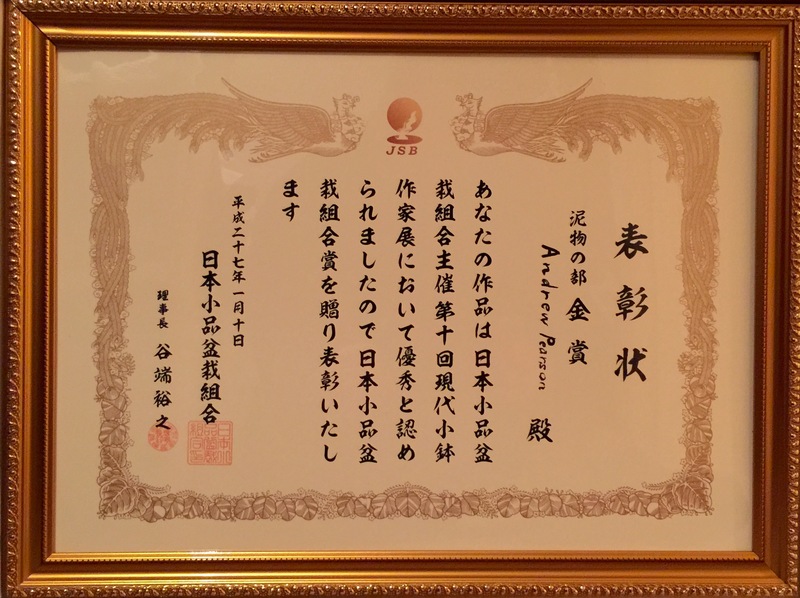 The sale also includes a pot stand (not the one pictured) and also a copy of the Gold Award certificate and Kinbon Magazine for provenance. 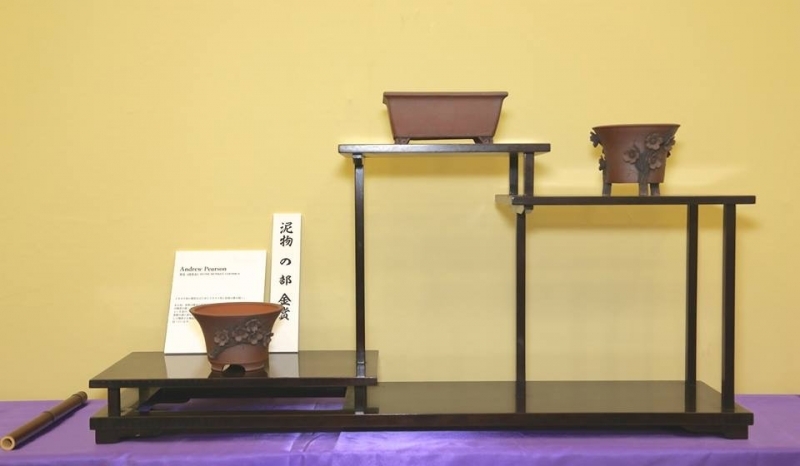 The pots are totally unique and are an important part of modern bonsai ceramic history which you could own today and make part of your collection.